Eraclides Gelman | Morgan’s Tip of the Week – Do You Smell Something? 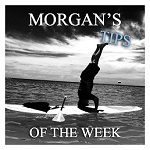 Morgan’s Tip of the Week – Do You Smell Something? Greetings, one of the most frequent questions I get is about exposure-type claims. When the statute was amended in 2003, the Fla. Legislature intentionally created a higher burden for a claimant to prove an exposure claim. A medical opinion that the level of the exposure can cause the injury they are alleging. If there is no testing done to show the level, the claimant can not prove their case. This is true even if the employer cleans up the area before the claimant would have had a chance to test. Basically this is the Miles case we hear about now with attorney fees. The meth lab was cleaned up, so the police officer had a very hard road to prove her exposure, so the 1st DCA agreed an attorney could charge more than the guideline fees since it was such a risk/reward situation to represent her.. So, if a claimant alleges exposure and is sent for treatment, it does not matter if the walkin clinic says its related. It does not meet the legal standard without testing. After 120 days after the initial provision of a benefit, you have accepted the compensability of the exposure if its not denied. And tis the season soon, the flu is almost always not compensable. 440.02 (1) “Accident” means only an unexpected or unusual event or result that happens suddenly……..An injury or disease caused by exposure to a toxic substance, including, but not limited to, fungus or mold, is not an injury by accident arising out of the employment unless there is clear and convincing evidence establishing that exposure to the specific substance involved, at the levels to which the employee was exposed, can cause the injury or disease sustained by the employee.